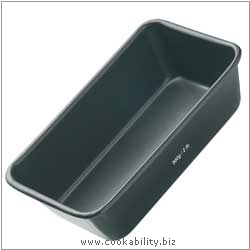 Professional bakeware of robust commercial weight and has high quality double layered durable non-stick coating. Non-stick care advice. These tins are great for bread, meatloaf and pate. 5 year guarantee on the non-stick.